← What kind of AK should I do with this? A .308 rifle with a sound suppressor, BUIS and a low-magnification scope weights quite a bit. 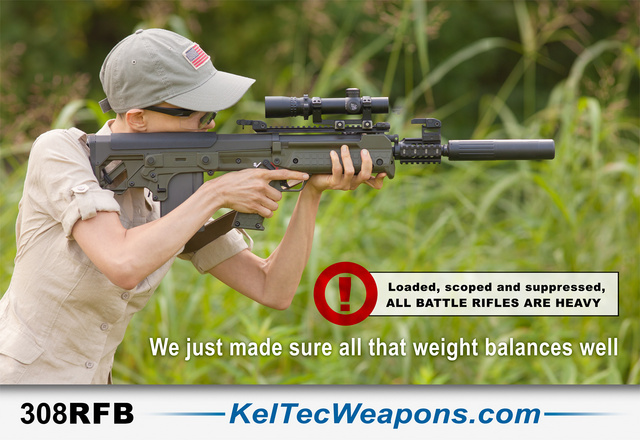 Add to that a 20-round and this RFB weighs 13.2 pounds (6kg). M14 and AR10 variants with the same 18″ barrel length weight the same or more. The advantage to bullpups is the weight distribution, enabling the 110-pound girl to handle it effectively. Another advantage to RFB is that it vents gases forward, keeping them away from the shooter. That becomes very helpful when used suppressed. That does make administrative chamber checks slower, so there’s always a design trade-off. Forward ejection also allows right or left hand use. Shown here with 1-4x Nightforce scope, YHM iron sights and AAC 762SDN-6 suppressor.